For over 20 years, old-growth and other forests on U.S. Forest Service (USFS) and Bureau of Land Management (BLM) lands (excluding wilderness and other protected areas) in western Washington, western Oregon, and northwestern California have been governed by the Northwest Forest Plan (NWFP), a Clinton-era agreement that has been hailed as one of the landmark conservation plans of the 20th century. Drafted with input from Conservation Northwest (then the Northwest Ecosystem Alliance), the groundbreaking 1994 plan mandated an ecology-based forest management framework, limiting old-growth logging and putting in place environmental and habitat protections for endangered fish and wildlife like the northern spotted owl, marbled murrelet, Chinook salmon, and steelhead. In short, the plan shifted management of national forests in the western Cascades away from a focus primarily on timber extraction and toward a scientifically-based ecosystem approach. Today, the NWFP covers 24 million acres of public forests. Changes to the plan could upset the way our forests are governed, and the way critical wildlife habitat is protected, for the next two decades. 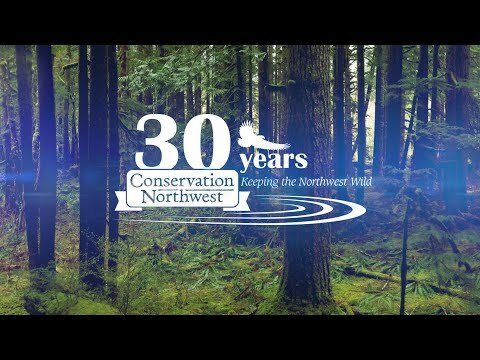 Since before the Northwest Forest Plan’s creation, our Forest Field Program has worked for old-growth and other forest protections in the greater Pacific Northwest. These are places vital for countless fish and wildlife species, as well as for human recreation and sustainable economies. Conservation Northwest was one of the first regional groups to recognize the power of ecological forest restoration and community collaboration, and we’ll be closely participating in these Northwest Forest Plan listening sessions to ensure vital environmental protections remain paramount in public forests. April 2015 – High Country News: Will the Northwest Forest Plan come undone? The National Forests in the NWFP plan area are still recovering from decades of massive logging. These forests are only 25 years into a 100-year recovery regime as envisioned by the NWFP. There continues to be a deficit of mature and old-growth forests and the landscape in this region is among the most roaded and fragmented in the National Forest System. The NWFP is an excellent, science-based regional plan that has successfully helped safeguard the region’s remaining mature and old-growth forests and watersheds. The NWFP – especially its reserve system — is a global model for ecosystem management and wildlife conservation. It is also highly consistent with the Forest Service’s new 2012 planning rule, which requires plans to maintain and restore the integrity of ecosystems and watersheds (36 CFR 219.8(a)(1)). In revising the region’s forest plans, the Forest Service should keep the foundational components of the NWFP, including its reserve system, intact as a consistent, regional, interagency whole. All National Forest plans in the NWFP region (including the Okanogan-Wenatchee) should be revised based on a regional science synthesis, NWFP regional planning direction, and the 2012 planning rule. A forest-by-forest approach to plan revisions in this region is inappropriate and unacceptable. There is no scientific basis for weakening the NWFP framework and standards. The NWFP should be strengthened by using the best available science regarding climate change, wildlife habitat needs, and other relevant new information, as required by the 2012 planning rule (36 CFR 219.3). In response to climate change, plans should focus on (1) reducing environmental stressors like logging, road building, invasive species, and off-road vehicles; (2) establishing connecting corridors for wildlife migrations; and (3) providing high-quality habitat as refugia for climate-sensitive fish, wildlife, and plants. The plans should also recognize and safeguard the vast amount of forest carbon that makes the region’s National Forests critically important in fighting climate change. All mature and old-growth forests should be off-limits to logging, including post-fire salvage logging, to protect wildlife habitat and carbon storage. The Forest Service should continue to focus on thinning of previously logged tree plantations. Protecting and restoring riparian areas and watersheds should be a major emphasis of the forest plans, consistent with the NWFP’s aquatic conservation strategy and the 2012 planning rule (36 CFR 219.8(a)). The plans should not reduce the size or protective standards of the NWFP’s Riparian Reserves. Instead, the Forest Service should focus on reducing the harmful impacts of old logging roads on streams, water quality, and fish habitat, while maintaining public access to trailheads, campgrounds, etc. The NWFP National Forests provide a wide variety of social and economic benefits for local communities and the region as a whole. Outdoor recreation generates 141,000 direct jobs in Oregon and nearly 200,000 jobs in Washington, most of which are from expenditures associated with outdoor recreation on national forests, parks, and other public lands. In comparison, the timber industry employs about 30,000 workers in Oregon and 40,000 in Washington. The NWFP forests should not be relied upon for timber volume. There is an abundance of logging in the region from non-federal forests. Exports of West Coast logs in 2014 were 1.7 billion board feet, while lumber exports were 892 million board feet. Stay tuned for further updates as the Northwest Forest Plan revisions period moves forward. We’ll be fighting for important old-growth forest and other fish and wildlife habitat protections every step of the way.